On September 1, 2004, we drove down to Wildcat Den State park near Muscatine, so as to tour the area and hike the woods. At the park was this school, the Melpine School, built in 1877. 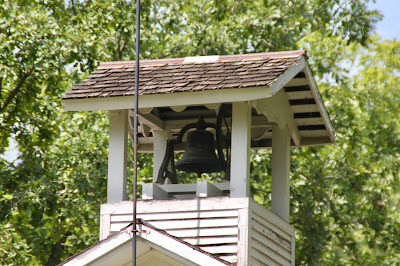 It was moved to the park in 1969 and restored, but not open the day we were there. 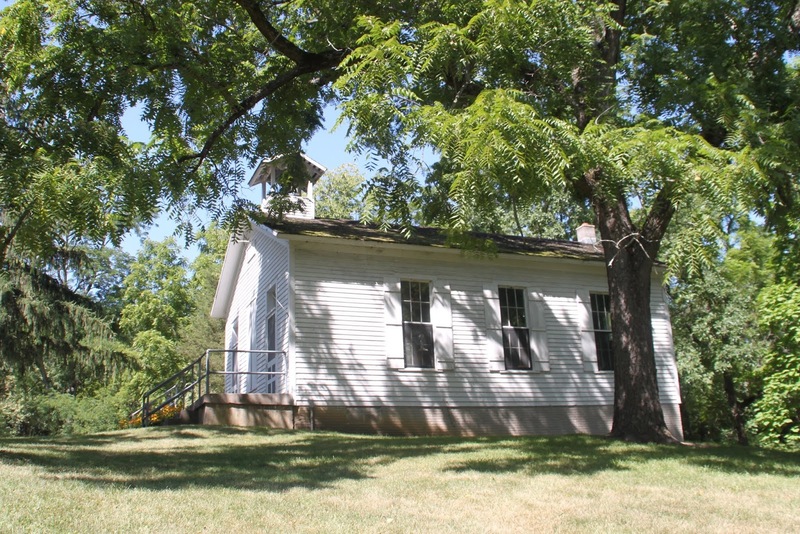 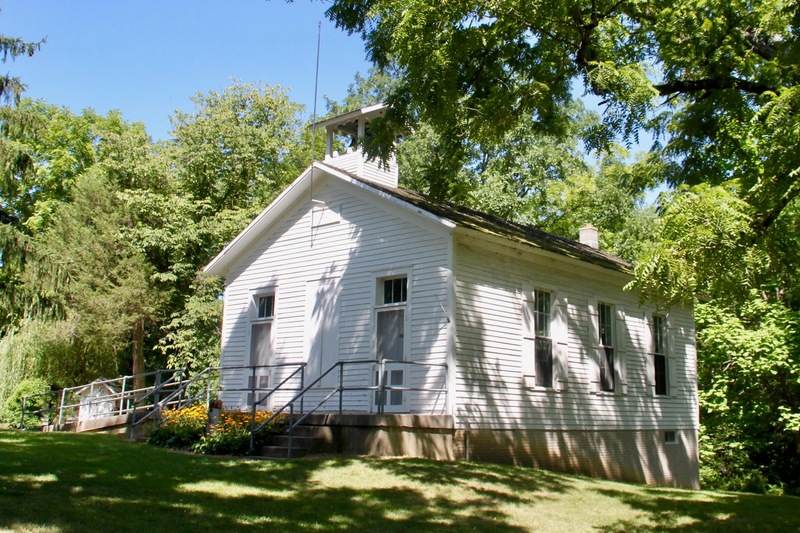 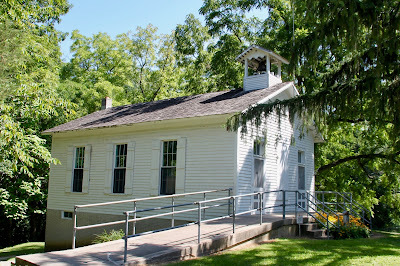 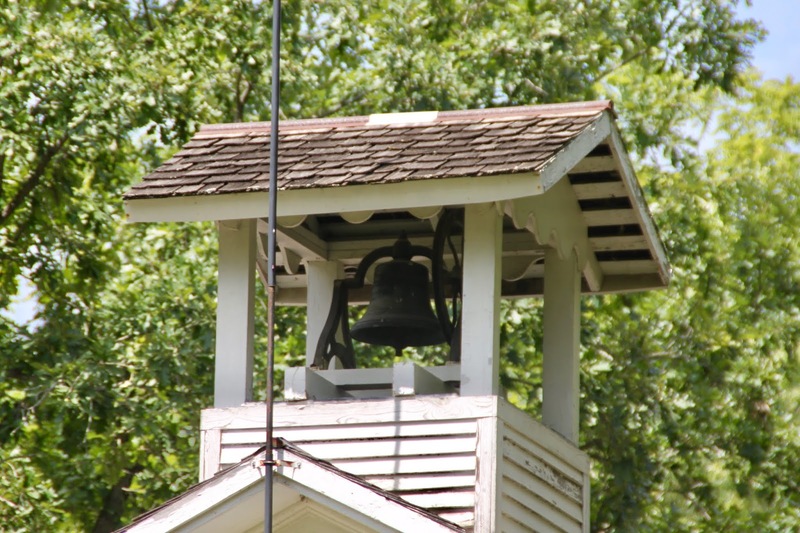 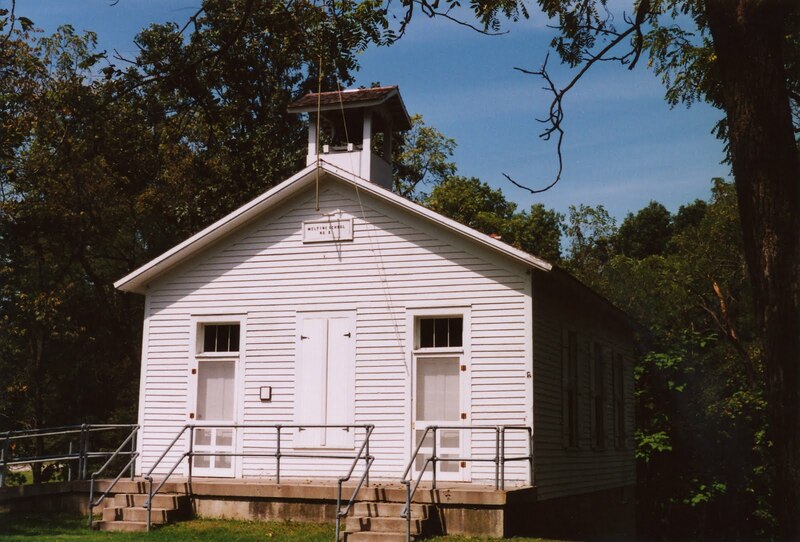 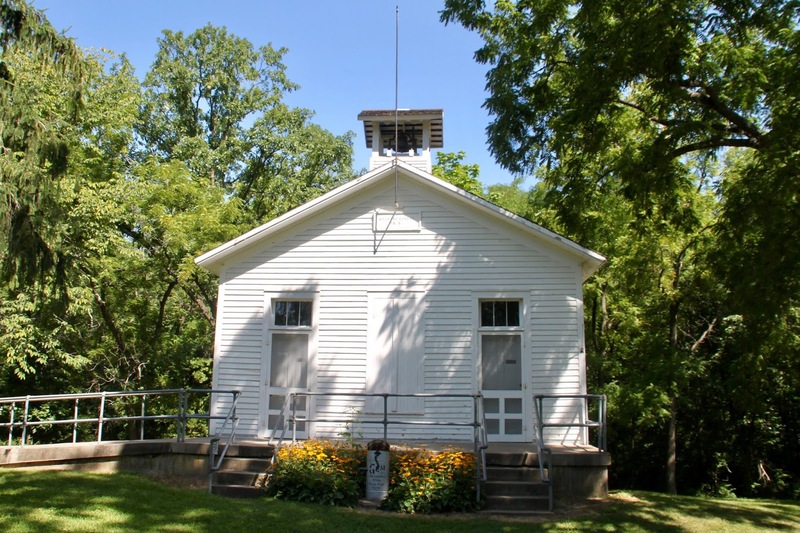 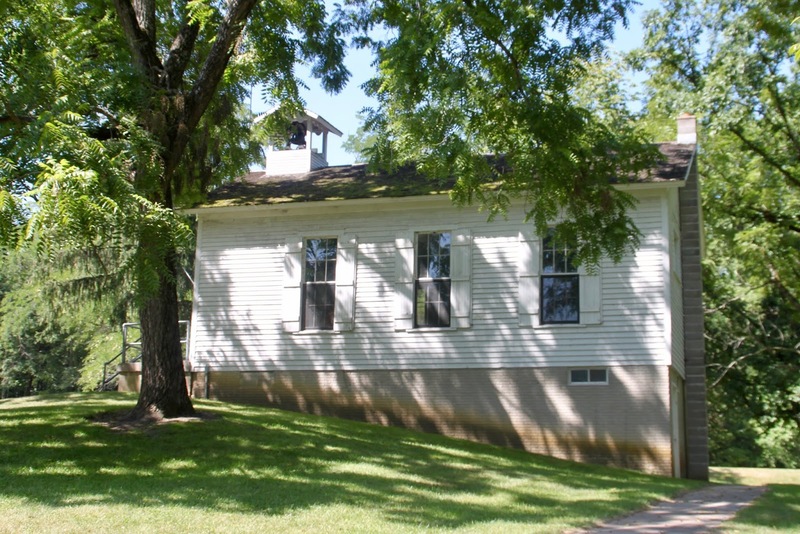 The school was originally located about 4 miles north of its present location, on Martz Rd (Lane? 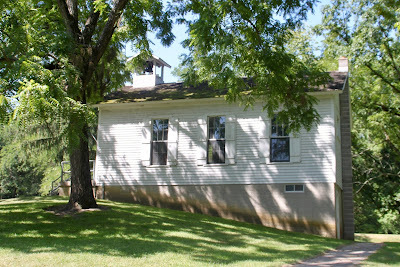 ), and closed in 1964. I think the river at the Mill is Pine River.